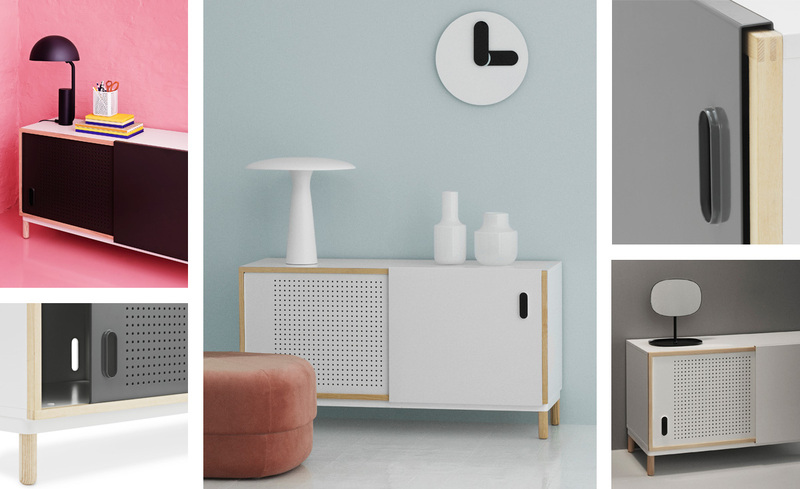 From simple Scandinavian delights to quirky statement designs, we've selected our top 10 sideboards to help you discover the perfect match for your home. There's a reason this bestselling sideboard was the winner of the Wallpaper* Design Award in 2008. 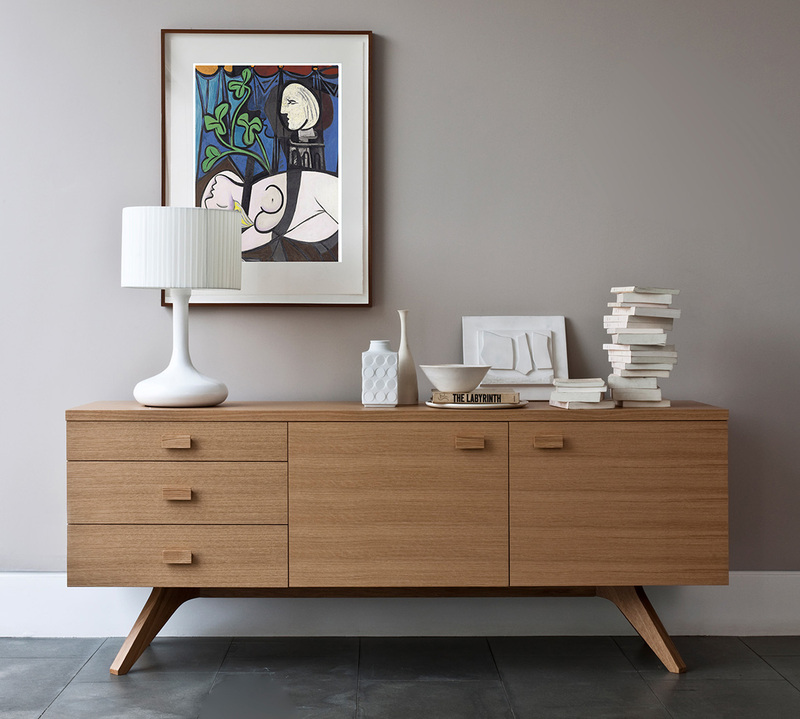 A timeless, sophisticated staple for any home, the Tactile Sideboard will beautifully complement modern living rooms, bedrooms, hallways and dining rooms, offering ample storage space whilst keeping your items neatly hidden away. A true design classic. Every E15 product is highly distinguishable from the masses and that's thanks to the quality and utilisation of the wood that is used for production. 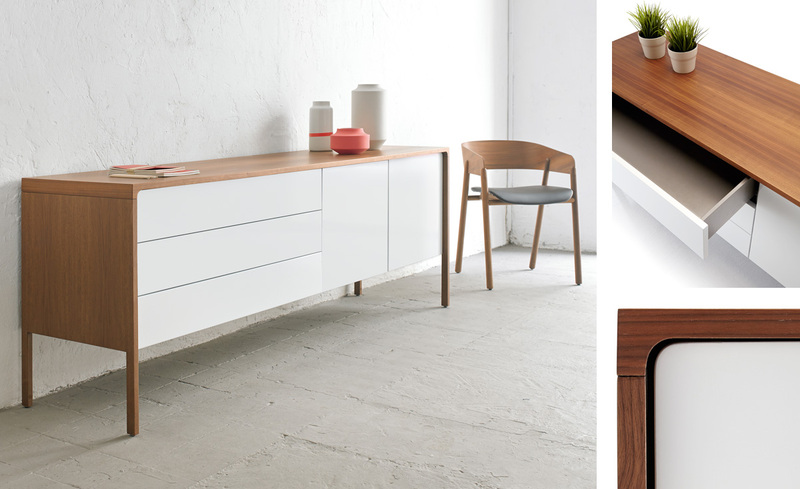 The Farah Sideboard is no exception, which is available in contemporary oak or walnut. Each detail is carefully considered, from the adjustable foot leveller to the soft-close hinges on the doors. Impeccably designed. There's something undeniably cosy about the Muuto Reflect Sideboard, thanks to its warm, solid oak wood build and simple, charming character. 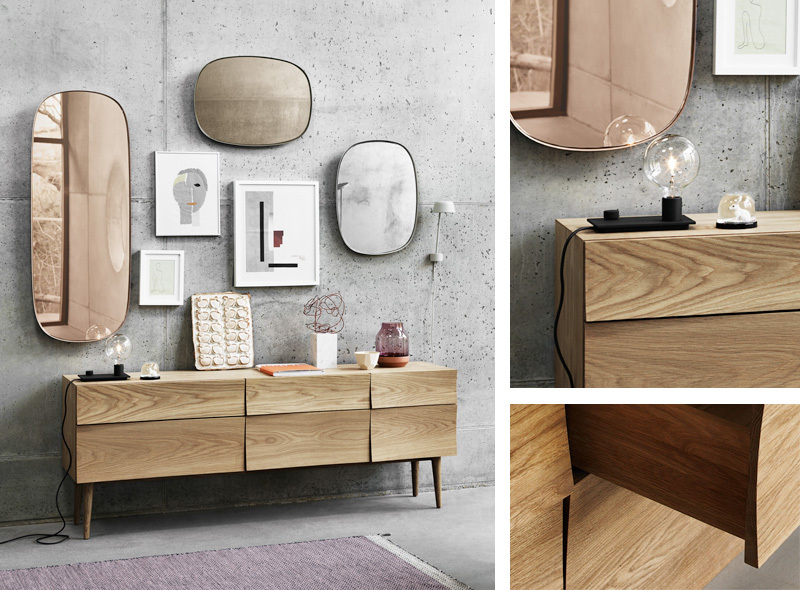 The Reflect series is also comprised of a smaller sideboard and drawer system – ideal for bedrooms and snug spaces. There's not much to say in terms of fancy features or advanced ergonomics, but that's the appeal with the Reflect Sideboard – what you see is what you get and it's very pleasing on the eye. If the Perf Credenza was a person, then it would definitely be in a rock band. With a rugged, industrial aesthetic, you'd expect this sideboard to be a heavyweight, but it's actually surprisingly lightweight, so there’ll be no problems with manoeuvring it. The inside is softened with simple wood shelving, which can be utilised however you wish. The 'Perf'ect Credenza. It may be the little sister of the full-size Punt Stockholm, but the Stockholm Small is perfectly proportioned for modern-day living. It features two storage compartments to hold all of life’s daily essentials, as well as slatted doors that’ll allow your remote to control any tech hidden inside. Combined with a sensational colour palette of rose and walnut, this pint-sized sideboard is a classic in the making. A design enthusiast’s delight, the Treku Aura TV & Media Unit has everything you could ever want or need from a contemporary storage unit. Its slim design fits neatly into living rooms, dining rooms or hallways, while it’s plentiful compartments hold all your possessions with ease. 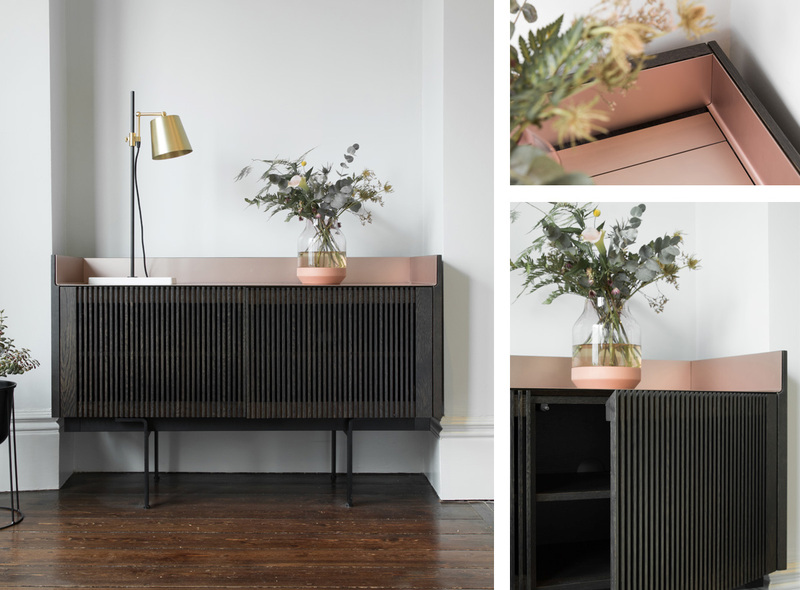 The graphite display divider and skate leg base ensure this sideboard is right at home in any contemporary interior. It may have been designed by a Brit for a British brand, but there’s something distinctly Scandinavian about the Cross Sideboard. With its thick-set frame and angled legs, it’s a delightful piece that will almost certainly have the same lasting appeal as its predecessors. Fill its numerous shelves and draws, then proudly display your favourite accessories on its spacious and clutter-free top. 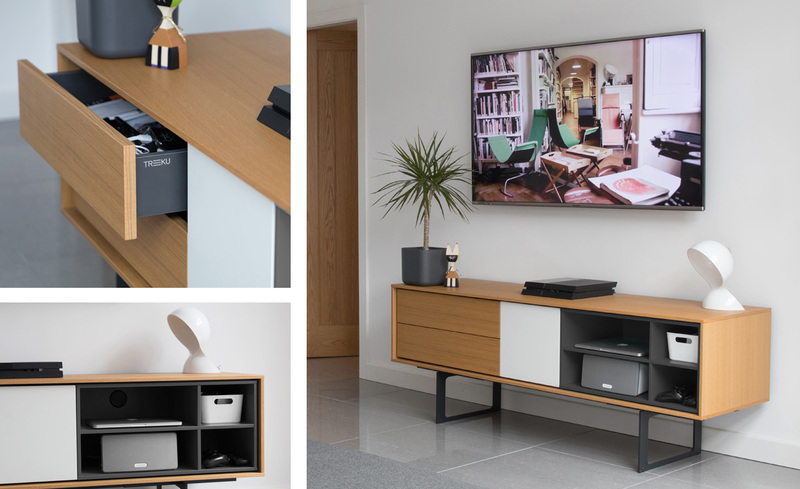 Offering excellent storage solutions at an excellent price, it’s easy to see why the Kabino Sideboard makes it into our top 10. Its compact size makes it the ideal choice for smaller homes and apartments where space is at a premium, while its quirky metal and wood design will look great in just about any interior. This versatile piece can be used as a simple storage unit or as a TV stand and media cabinet, due to its perforated doors. 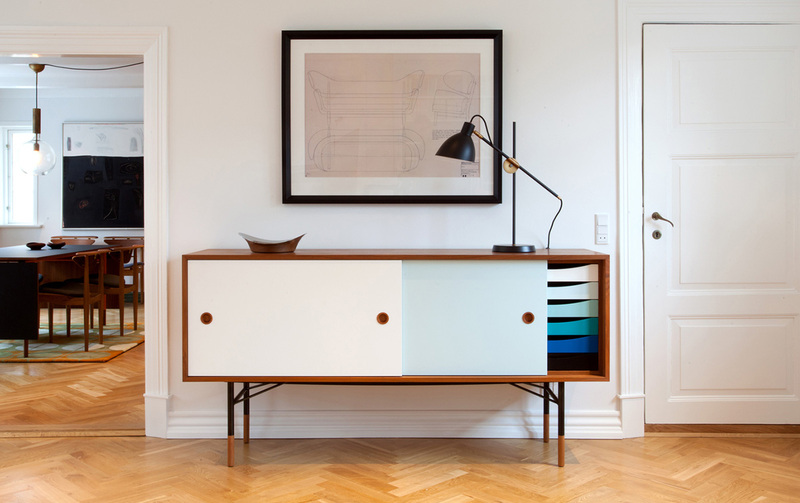 Premium quality materials combined with playful detailing are what make the House of Finn Juhl Sideboard what it is today: an unquestionable classic. Made from solid walnut with beautifully lacquered sliding doors that conceal a set of colourful draws, this sideboard offers more than mere storage. It’s a work of art for your home. Zeitraum’s Low Sideboard is anything but ordinary. Adhering to legendary architect and designer Le Corbusier’s proportions system, it features a series of asymmetrical compartments that have an undeniable visual appeal. And not only that, it's spacious too, so will easily take care of all your storage needs. A practically perfect piece with good looks to boot.